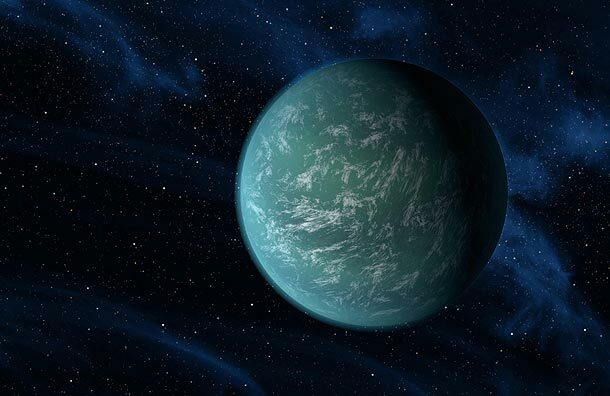 Is there life on the newly discovered planet Kepler-22? There was a new planet recently discovered called Kepler-22b. I know the name of the planet sounds rediculous, maybe they should try giving it an actual name rather than a combination. According to scientists, the planet is about 600 light years away from us. The planet is about twice the size of Earth and may even have continents, oceans, and LIFE. This new planet was revealed today, December 6, 2011 so this is very exciting and interesting news (especially for science nerds). The temperatures of this new planet found, are around 22C, which is about equivalent to a warm spring day in the UK. This is the first”super-Earth” known to lie in the “habitable” zone of a Sun-like star. 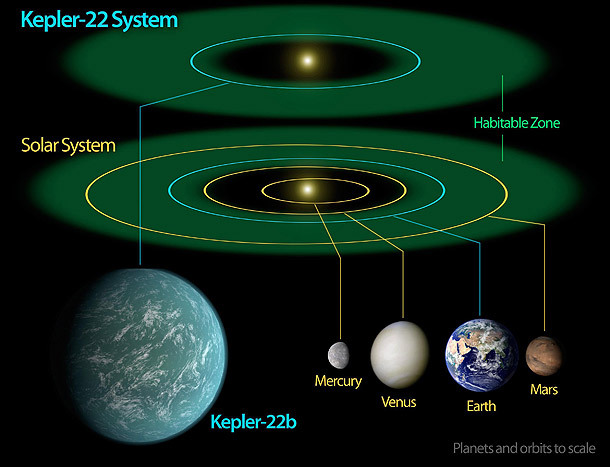 Scientists believe Kepler-22b may not only be habitable, but possibly even inhabited. “This discovery supports the growing belief that we live in a universe crowded with life,” said Dr Alan Boss, from the Carnegie Institution in Washington DC, who helped identify the planet from data obtained by the Kepler space telescope. Wow, imagine what it would be like if there were actually other humans on this planet. If there are humans it would be amazing to find out what level of intelligence they have, engineering skills, and technology. They could be cave men or they could have already surpassed our technology! wow, this is amazing!! now we can sell on an other planet!!!! no but really cool beans..
Will we ever be able to get there or mybe they will come to us? And I bet there’s nothing on their telly’s either! surely if it is twice the size of earth and closer to its star than earth then this would have a dramatic consequences for gravity meaning that its unlikely we could survive as we are there, even if there was the right level of oxygen and quality of water? I bet all the rich ppl that paid to hide under ground for 2012 will want there money back to move over there lmao. This is so cool ! Can you please keep putting more information about kelper ?? If there are people on this planet with greater intelligence, why do the not send a probe of some sort to us? i am interested about this thing s please send some informatio9n in my e-mail add.